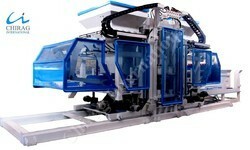 We are Professional Multi function Construction Machines Manufacturer and Exporter in India from more than Several years. 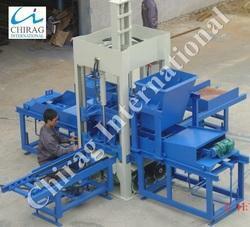 Our main products include Concrete Block Making Machine,Brick Making Machine and Interlocking Paver Block Making Machine. 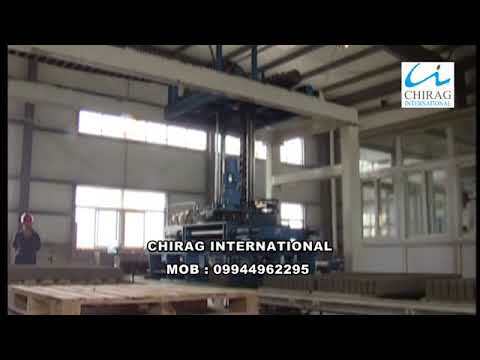 Established in 2008, we, Chirag International are a Distinguished Entry of the market engaged in Manufacturing and Supplying a commendable assortment of Construction Machines such as Brick Making Machine, product line comprises Fully Automatic Ash Brick Machine, Fully Automatic Ash Brick Making Machine, Fully Automatic Block Machine and others. 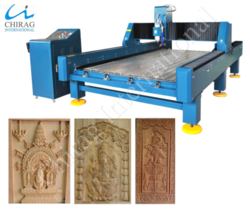 Moreover, we also offer Fully Automatic Brick Machine, Fully Automatic Brick Making Machine, Fully Automatic Cement Block Making Machine amongst others. Construction Machines that we come up with are precision engineered at our manufacturing unit by making use of advanced technology that is beneficial in fabricating such an outstanding range. Our range is broadly regarded in the industry for its attributes such as longer service life, durability, efficient work ability and resistance against corrosion. Furthermore, patrons can avail this range from us in diverse sizes, grades and other specifications as per their needs and requirements at market leading prices. The entire range of Construction Machines is precision designed at our unit under the guidance of skilled personnel's by employing sophisticated technology and other innovative methods. Moreover, they make sure to keep pace with current market dynamics in order to meet the emerging market demands in an efficient and timely manner. Customized products can also be availed from in different detailed specifications to maintain cordial relationship with the customers tastes and preferences. Owing to the quality centric approaches, we are appreciated by patrons for future business dealings. We have a very strong Customer base in India & exported our equipment to various Countries like North America, South America, Eastern Europe, South East Asia, Africa, Oceania, Mid East, Eastern Asia, Western Europe, Central America, Northern, Europe, Southern Europe and South Asia.